Set of 4 armchairs and a armless chair, model G10 (1955) by Pierre Guariche, edited by Airborne. 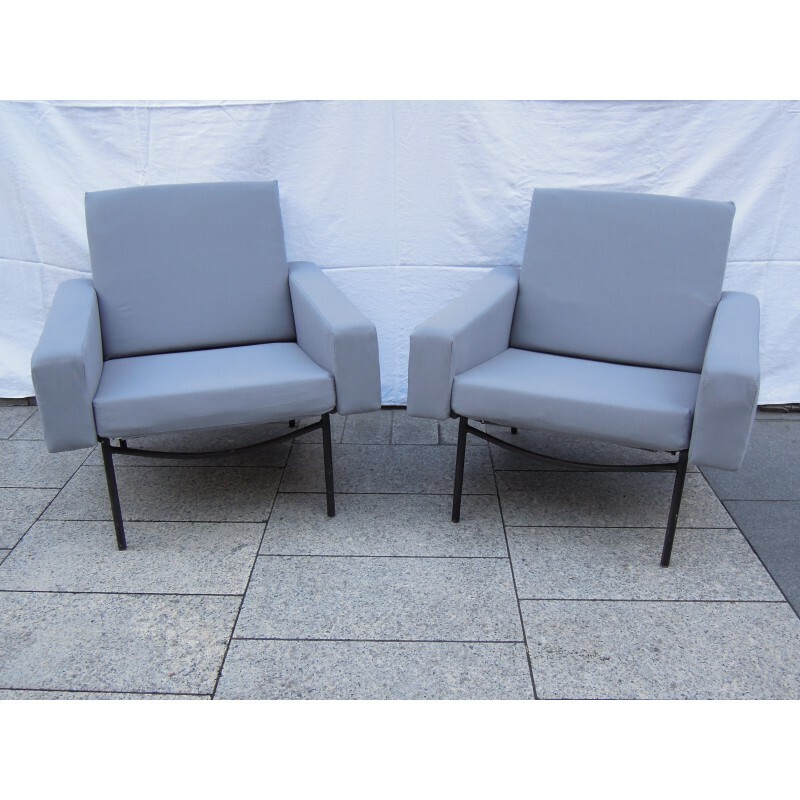 Can be sold by pair. 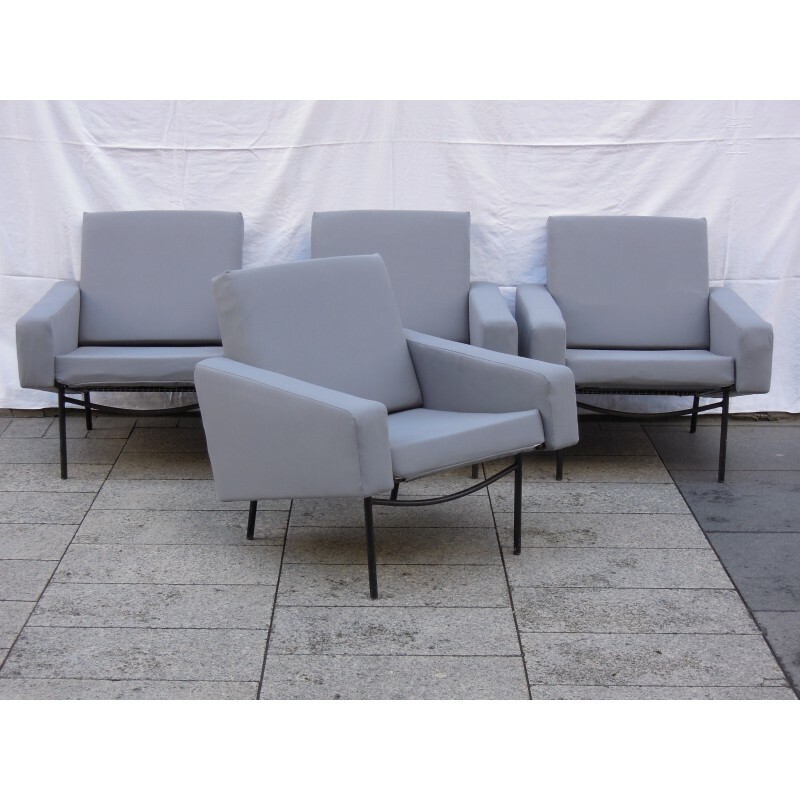 Beautiful set of four armchairs and a armless chair, model G10 (1955) design Pierre Guariche and edited by Airborne in the 1950s or 1960s. 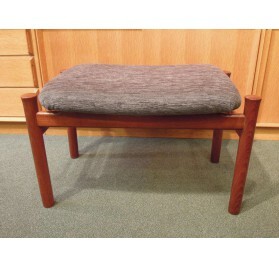 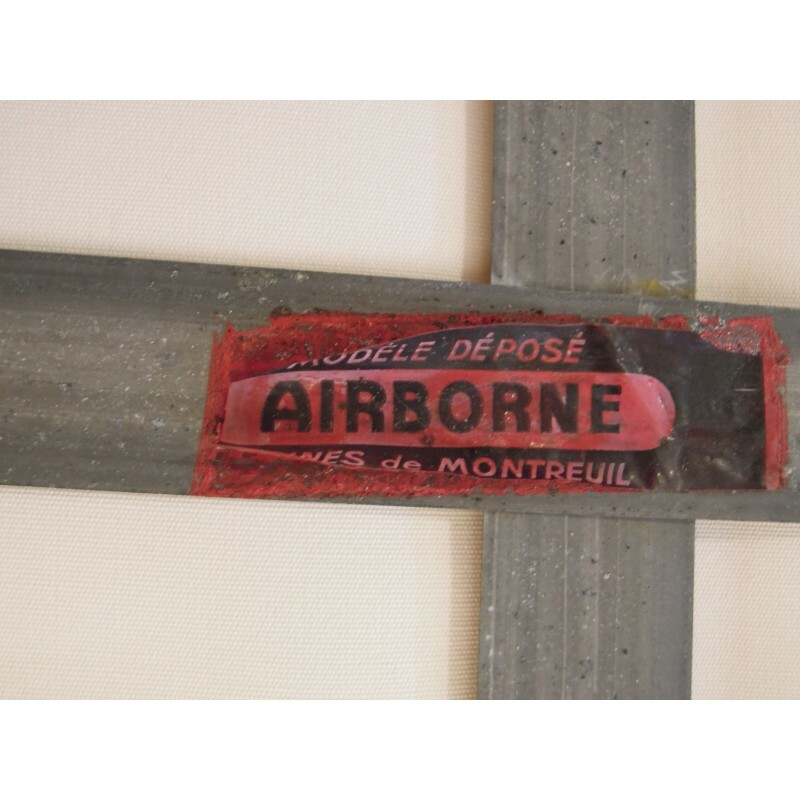 The wooden armrests are fixed to a metal base, covered with foam and new tissue. 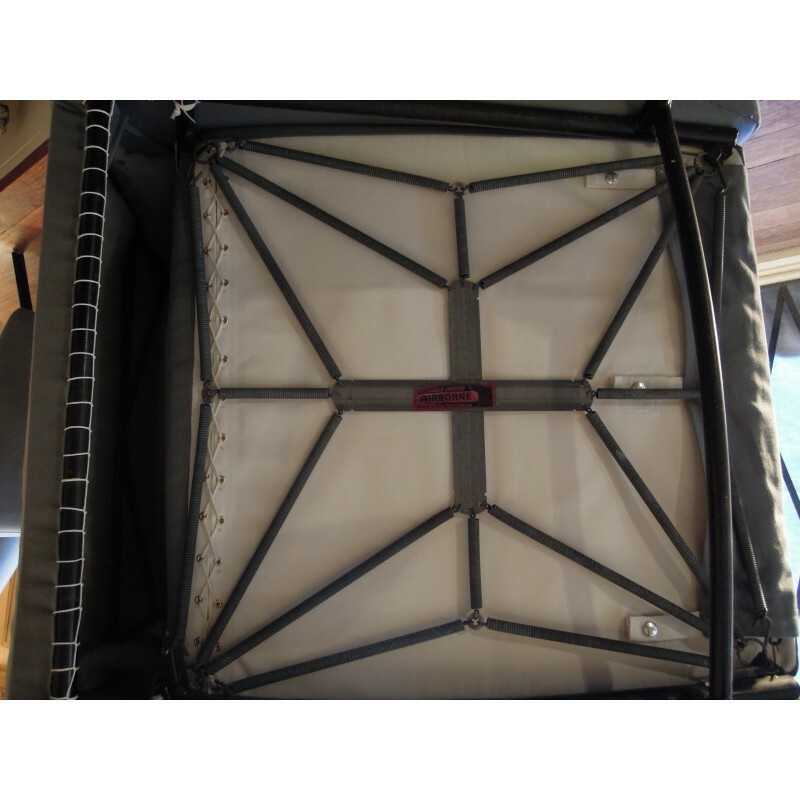 The seat is especially comfortable because it is supported by a system of slats and springs. 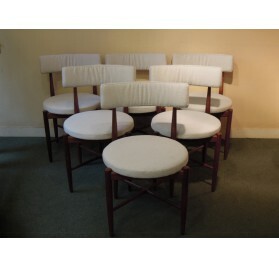 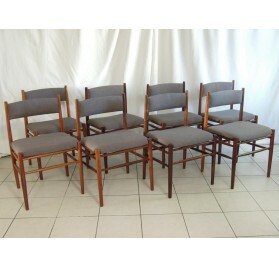 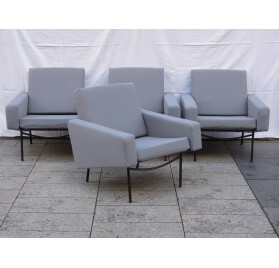 The price includes all the lounge: 4 armchairs and the armless chair. 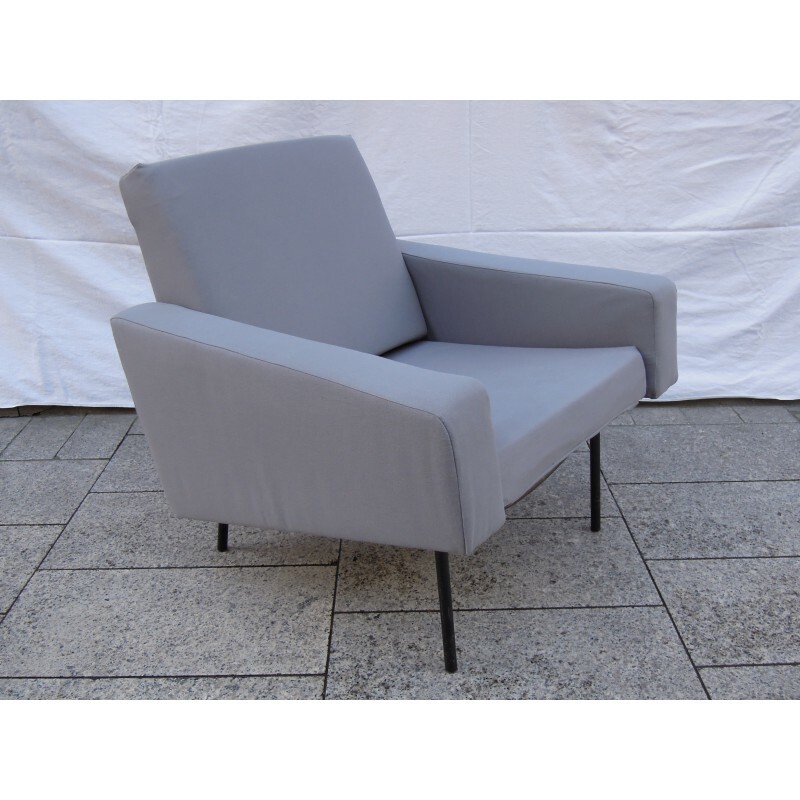 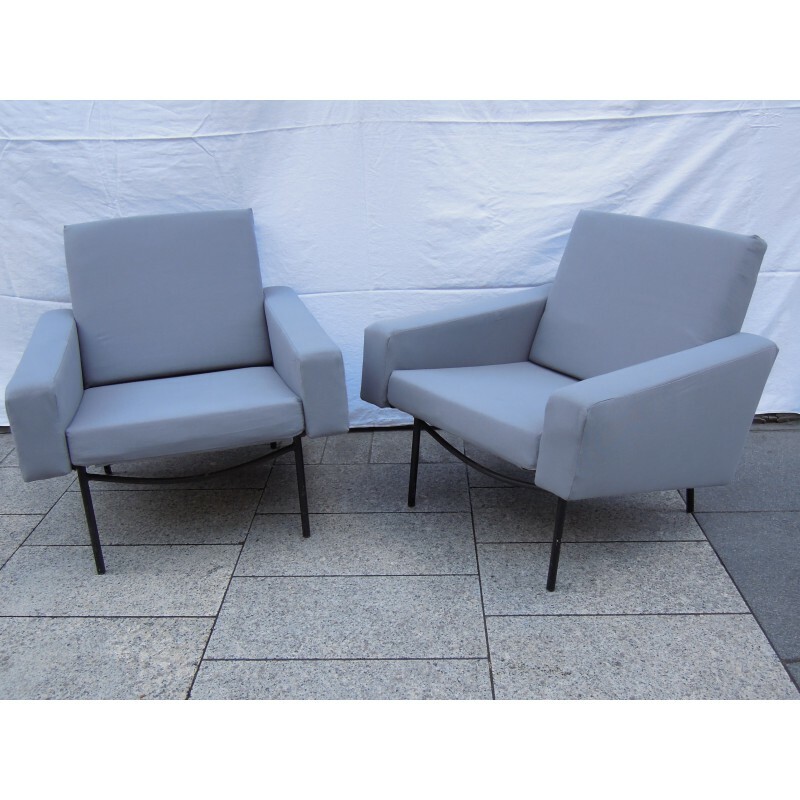 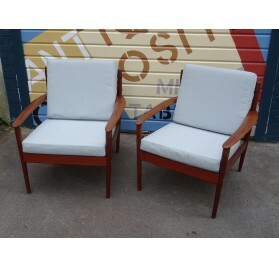 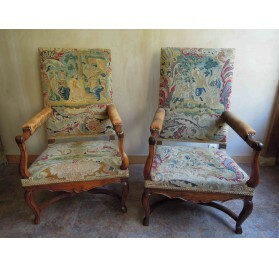 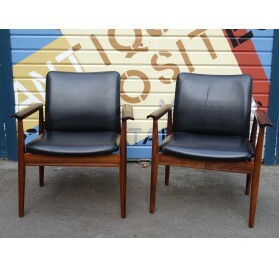 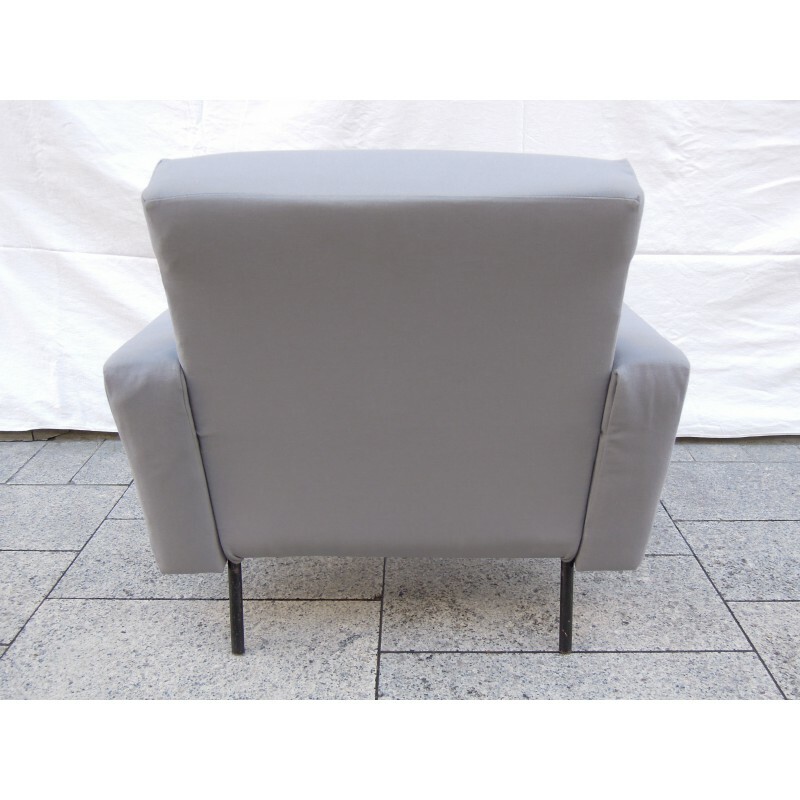 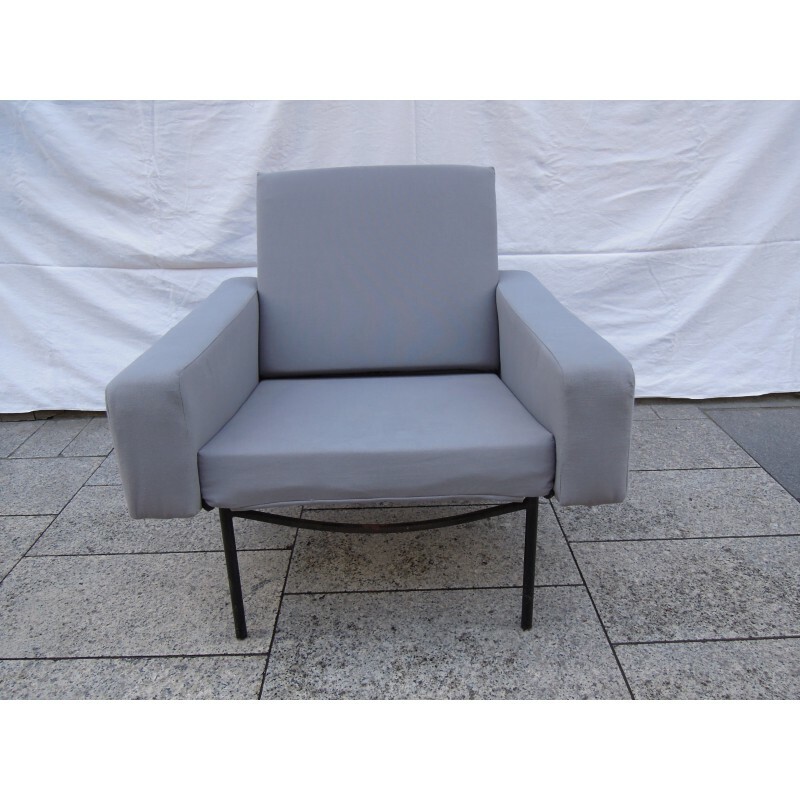 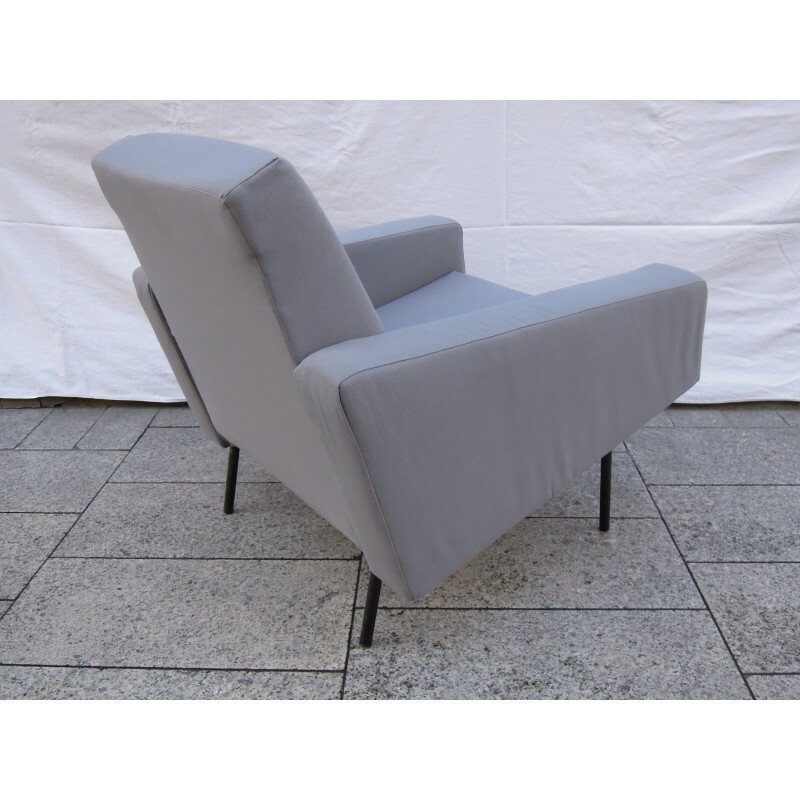 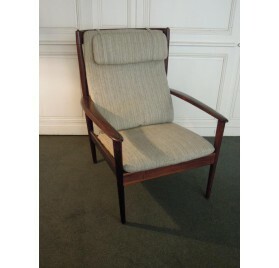 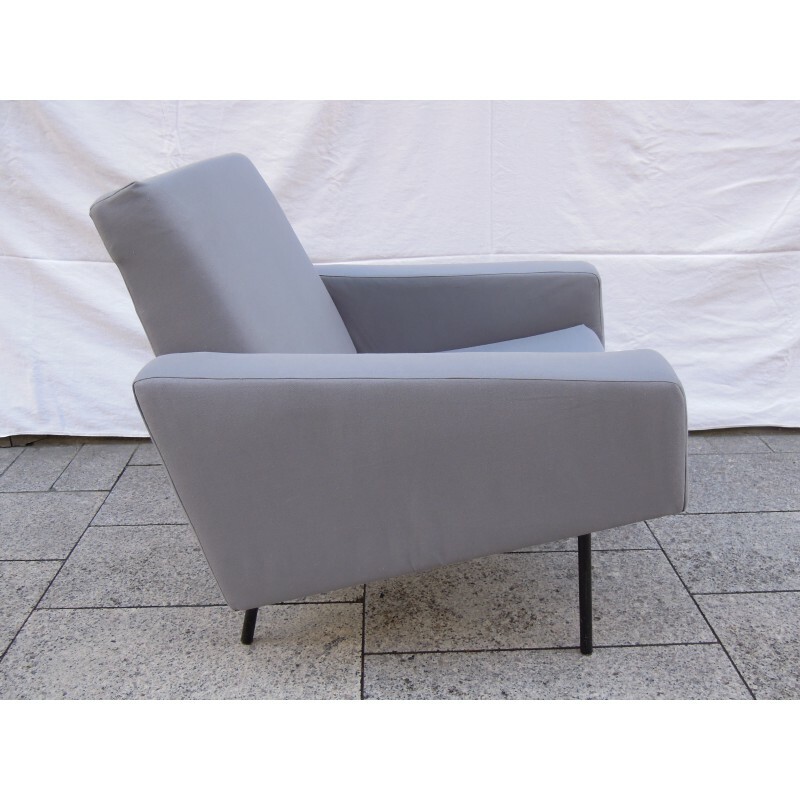 Possibility of selling only a pair of armchairs for 1800 euros.